In rural North Wales, near Chester. Lyme Cottage (sleeps 4) and Ivy Cottage (sleeps 2) are two spacious barn conversions, situated off a quiet country lane, close to historic Chester and just a minute's ride away from the Sustrans Cycleway; the cottages are the ideal base for walking, cycling, relaxing or sight-seeing alike. 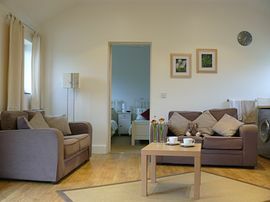 The open plan living areas in both cottages feature a stunning fitted kitchen, dining table, and a modern, comfortable sitting area with an LCD television (with DVD). Each bedroom has its own en-suite bathroom. 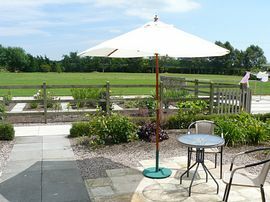 Outside you'll find patio furniture (with parasols) in each private cottage garden, perfect for dining al fresco. 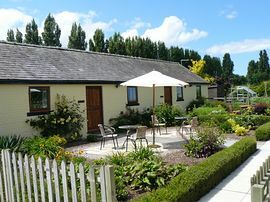 * A real rural retreat yet close to Chester, North Wales, Cheshire and Wirral. 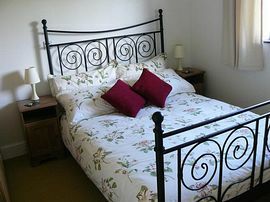 * All fuel, power, wireless broadband Internet, bed linen and towels inc. in rent. 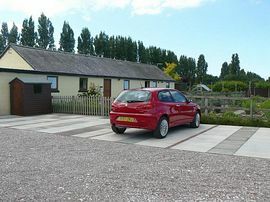 * Off road parking - two spaces per cottage. (No Smoking, No Pets, Families Welcome). Easy access to many attractions. Spacious and clean modern interiors. Easy to get to from the end of the M56 - please phone or email for directions. From: £275.00 - £465.00 per week. Please enquire for the cost of your chosen cottage, on your chosen week.